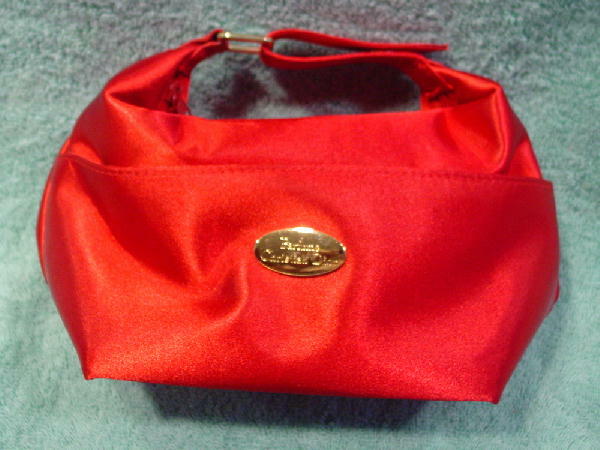 This shiny true red (not the red-orange it appears in pictures) synthetic fabric handbag was made especially for Parfums Christian Dior. It has an exterior front lined half compartment. 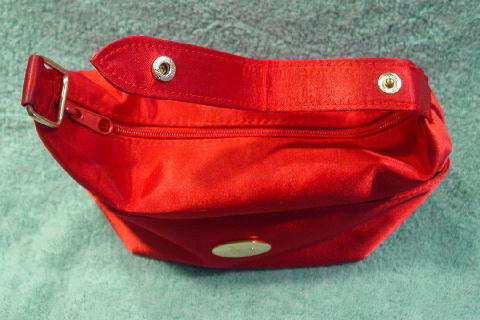 The top of the purse has a side to side zipper and the interior lining is a red plastic thin vinyl. After the handbag is zipped, you pur the top strap through the metal rectangle and snap the handle in place. On the front is an elongated gold-tone ornament that says Parfums Christian Dior.